Makeup From Born Pretty Store? Yes Please! And yes I am back with another post on makeup from a Singapore online beauty store, Born Pretty Store. 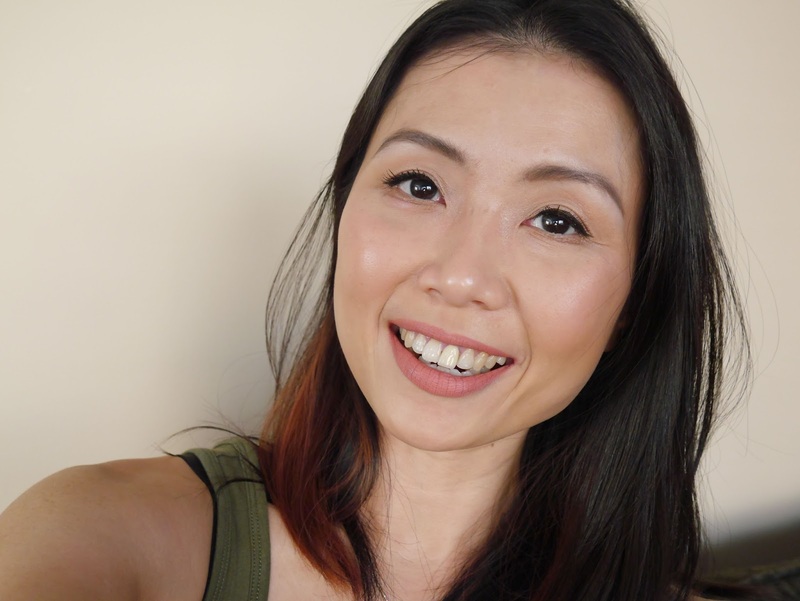 If you missed my first post then you can read it here and despite the great success I had with the eyeshadow palette, my scepticism continued. What can I say, I'm a natural born sceptic. I was kindly sent three makeup products and I must say that the shipping time improved tremendously this round. The items were shipped on 6th November and I received it on the 25th which is a huge improvement from the initial more than a month time frame for the first package. I have long been curious about cushion foundation and have wondered what's the huge deal about base product in this form. This came in a sturdy plastic packaging with a sponge. 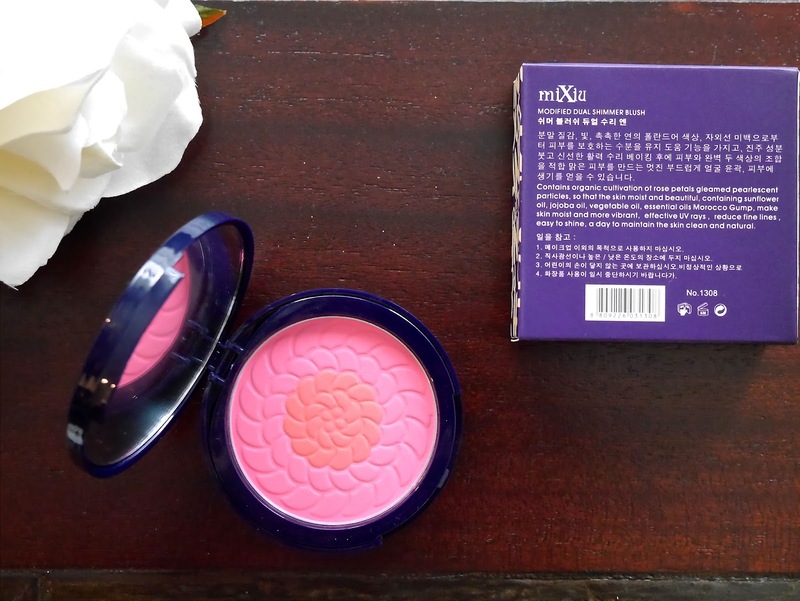 Initially I wasn't sure if the sponge would be useful but I gave it a go after reading a review on a cushion foundation (different brand but similar sponge) on another Canadian beauty blog. Using the sponge I pat the BB cream on to my face and it gives a beautiful dewy finish. 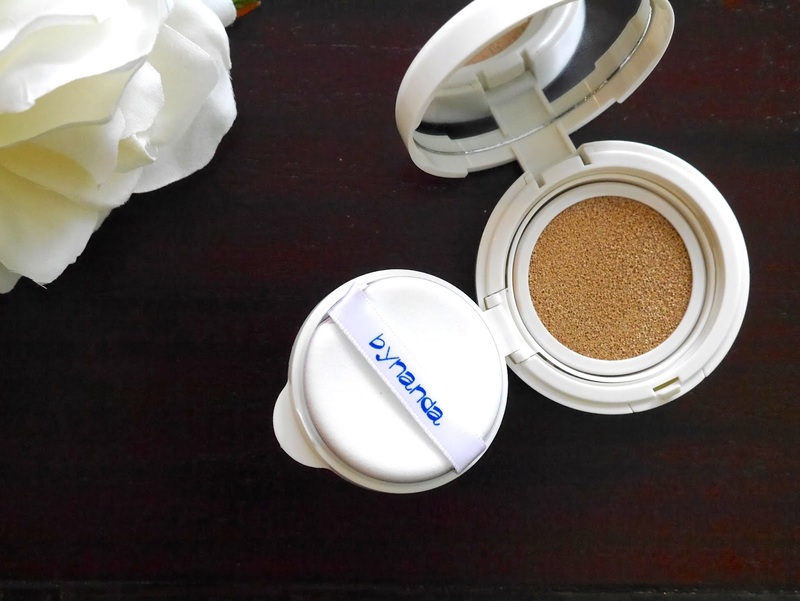 The coverage is very light but it does an amazing job in blurring out my pores. I freaking adore this and it has been my go to base product for the past week! Let's take a moment and admire the lovely pattern on this blusher, I was a little hesitant to use it because I didn't want to ruin the pretty flower print. 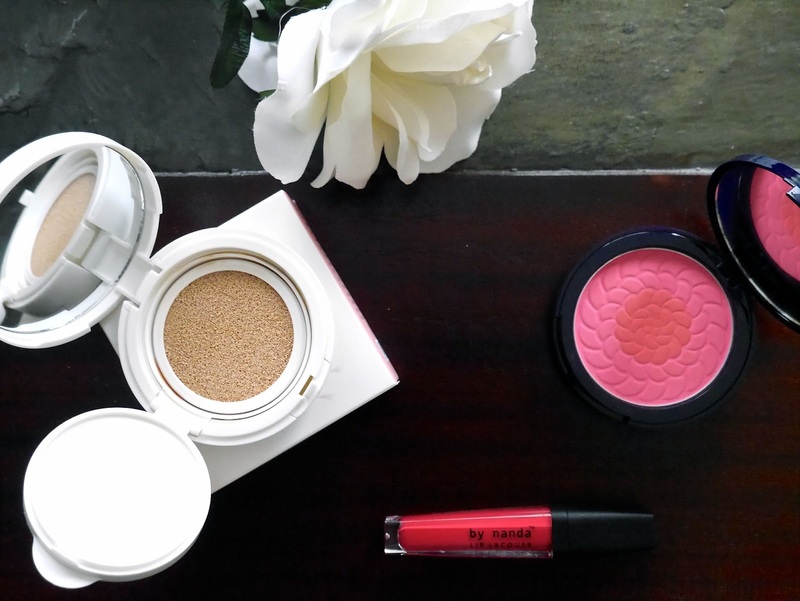 Gorgeous pattern aside, this blusher is finely milled, applies smoothly and blends out beautifully. 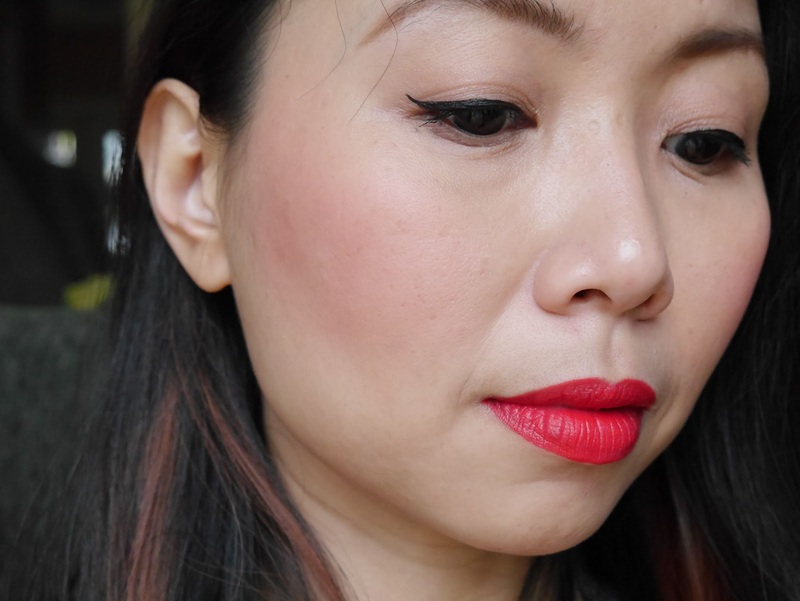 It's also very pigmented so I have to remember to be light handed with it. 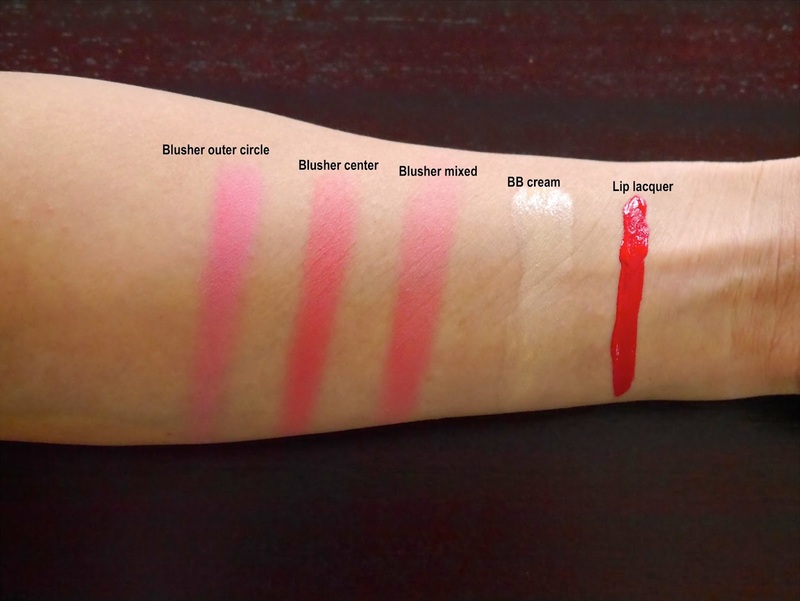 The best thing about this blusher is it has two different shades; the outer rim is bright pink while the centre has more orange tone to it. I can either use each shade on their own or swirl my brush and mix both shades together. 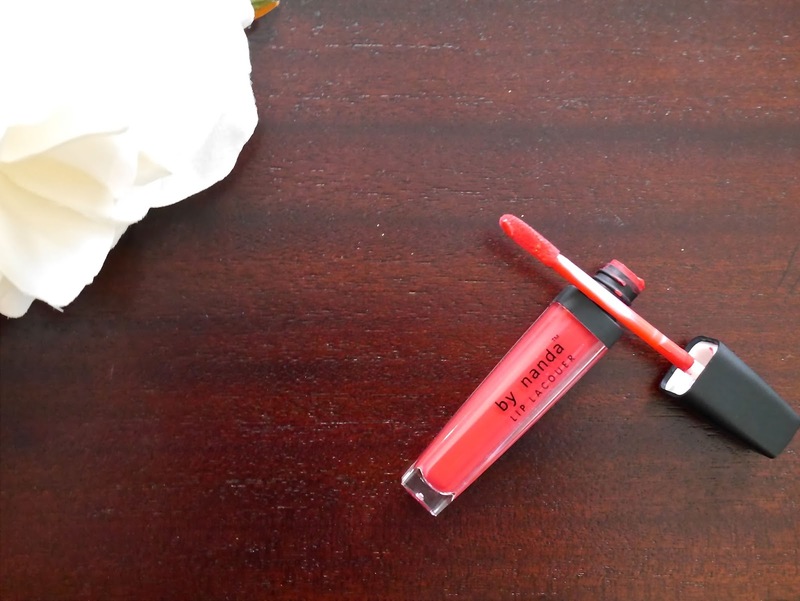 I was initially worried because it was described as a long wearing lip gloss on the website but this turned out to be a liquid lipstick! The pigmentation is crazy intense and all I need is one light swipe. It definitely is very long wearing and it survived me eating lunch and dinner without reapplication. The one thing I dislike about it is it never fully dries down and it leaves a very slight tackiness to the lips. So if you're a lip smacker which I am not, I think it will really bother you. I am once again impressed by the quality of these products from Born Pretty Store. And I have a strong feeling that both blusher and cushion BB cream will be making appearances in my monthly favourites in the near future. Born Pretty Store has kindly provide my readers with a 10% discount code, just enter the code 'S7H10' on your checkout. Are you familiar with BornPrettyStore?